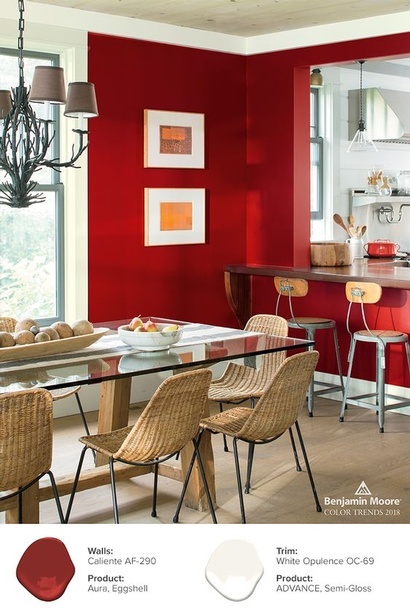 Introducing Color of the Year 2018, Caliente (AF-290), is strong, radiant and full of energy. Caliente is the signature color of a modern architectural masterpiece; a lush carpet rolled out for a grand arrival; the assured backdrop for a book-lined library; a powerful first impression on a glossy front door or an accent wall. Harness the vitality.